With Whirr now taking the backseat in the shoegaze spotlight, it’s time for another band to rise from the ashes. Ringo Deathstarr‘s latest, Pure Mood, is more than enough to solidify that slot for them. Though Ringo Deathstarr has been blending alternative music styles like noise, shoegaze and extreme psychedelia since the earlier 2000’s, it’s finally time for the Austin, Tx trio to get the proper recognition for their steadfast collection of songs. Pure Mood exemplifies its merit from start to finish, with “Dream Again” starting the album off with a beautifully simplistic riff that calls very much to their My Bloody Valentine influence. Another indicator of potential influence is present as well, particularly on the song “Boys in Heat.” A specific part of the song’s guitar riff holds a strong resemblance to the riff in Led Zeppelin‘s “When The Levee Breaks.” Once this tidbit enters your mind it’s kind of hard to ignore, but it doesn’t affect the strength of the song. 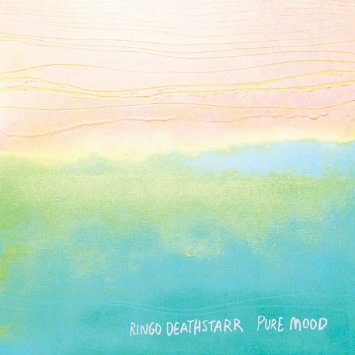 As a collection of tracks, Pure Mood makes for a premium addition to Ringo Deathstarr’s discography. An album is only as strong as its weakest track, of which Pure Mood has none.